Why Calibrate your equipment with Camera Focus Support Services? When DSLR cameras and lenses are manufactured they have been set up as accurately as possible but there will always be a variation in the calibration. 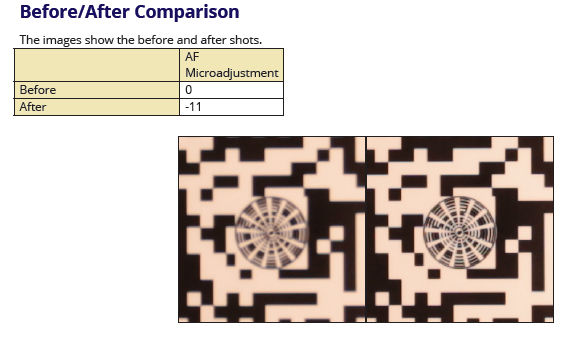 To correct for this variation your DSLR camera and lens combination needs to be focus calibrated together using the cameras inbuilt Microadjustment / AF-Fine Tune facility and an independent focus calibration tool. If you shoot wide open with apertures of f2.8 or larger, the depth of field could be down to as little as 2 cms, this is where variation during manufacture becomes most apparent. Focusing on a person’s eye in a portrait, the actual part in focus could be the ear or nose. Incredibly frustrating if that moment you photographed is not in focus. In specialisms such as Wedding, Portrait, Lifestyle, Fashion, Newborn, Event, Press & Media, Action & Sport, Wildlife, Bird, Animal & Pet and Equine photography these moments are fleeting and you need to be confident your focus is accurate, reliable and repeatable. CFSS will focus calibrate all your Canon / Nikon DSLR camera bodies and lenses as well as update firmware (Firmware updates are free of charge) and carry out enhanced testing (if specified) all in one session. Thus enabling you to concentrate on the other parts of your business. We understand how delicate and important your equipment is and so treat it with the utmost respect. Your equipment is collected by the best courier service available DPD/DPD Local, calibrated and returned to you all within three working days or two days if you add the Express service. (Scottish Highlands & Ireland plus one day each way) of your equipment being delivered to CFSS.